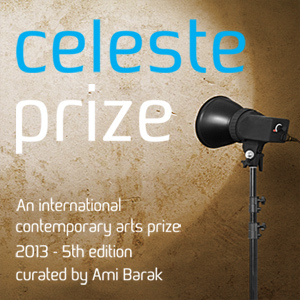 July 16, 2013 /Photography News/ Enter Celeste Prize, an international contemporary arts prize, win one of 20,000 Euro prizes and receive benefits which include three artists' residencies around the world. The competition is open to any person practicing art either as a professional artist in full-time or part-time, student artist or self-taught artist from anywhere in the world. There is no age limit for applicants and the prize is open to all artists whatever their qualifications, with or without experience of public or private exhibitions. The prize encourages participation by artists at every level.